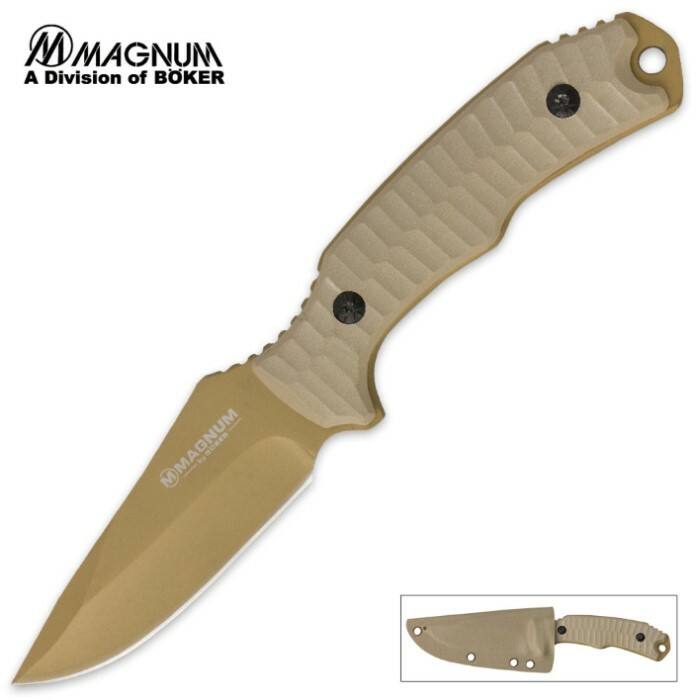 Boker Magnum Delta Tango Fixed Blade Knife | BUDK.com - Knives & Swords At The Lowest Prices! Compact enough for easy carry, yet large enough for heavy duty cutting chores. 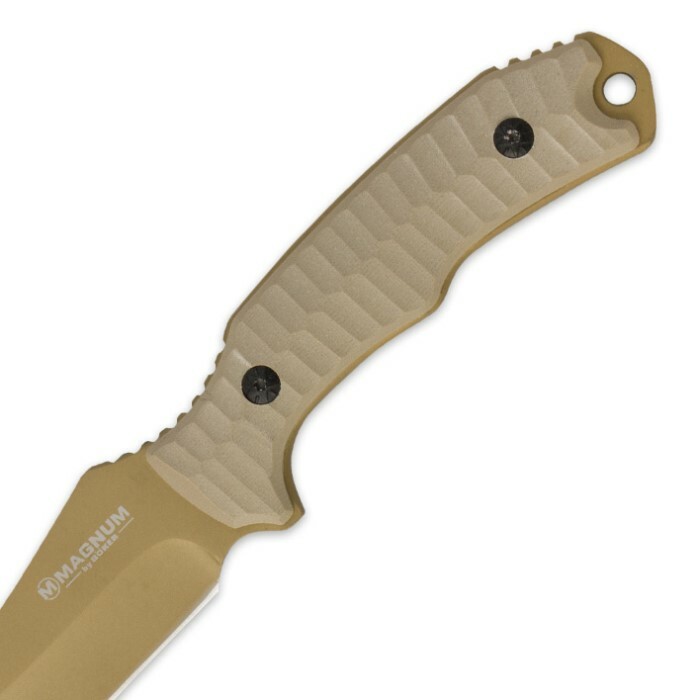 The milled, sand colored G-10 handle scales are secured to the tang with screws, and provide a comfortable and secure grip, along with the outstanding ergonomics. The matching sand colored blade is crafted of 440A stainless steel. 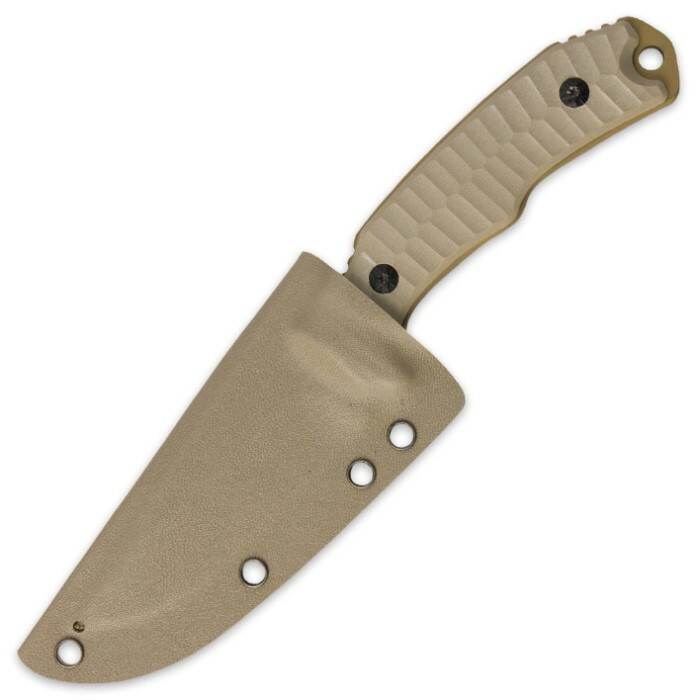 Includes a matching Kydex sheath and belt adapter. Blade length: 3 7/8"; Overall length: 8 3/4"